Albany County (pop. 36,299) is south of Converse County, along the border with Colorado. 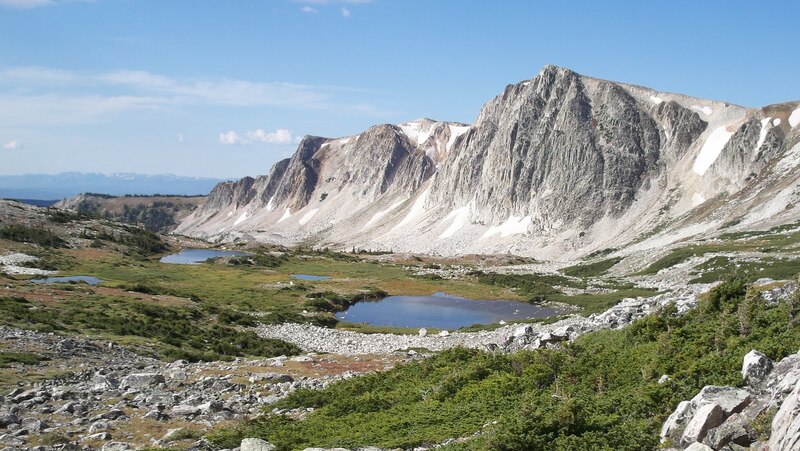 The Laramie Mountains (including 10,000-foot Laramie Peak) are in the northern part of the county, and the Medicine Bow Mountains and Snowy Range are in the southern part. The county seat is Laramie (pop. 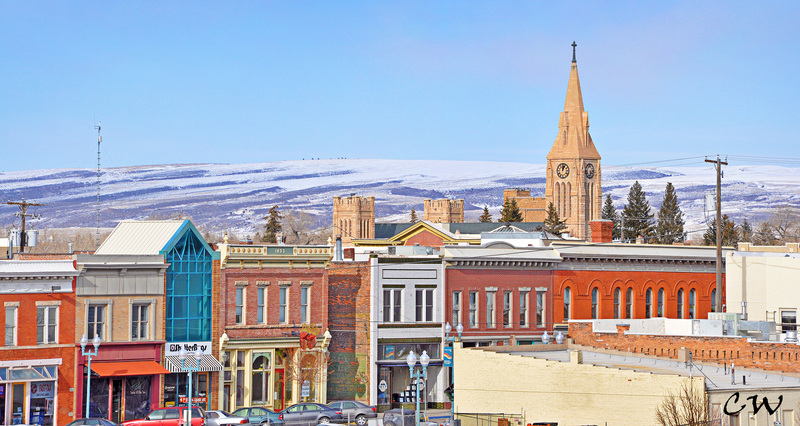 30,816), third-largest city in Wyoming. Laramie has an elevation of 7,165 feet. 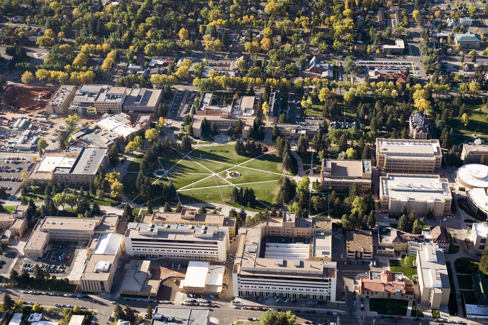 Laramie is the home of the University of Wyoming, founded in 1886. It has about 14,000 students. St. Matthew’s Cathedral in Laramie is the seat of the Episcopal Diocese of Wyoming. 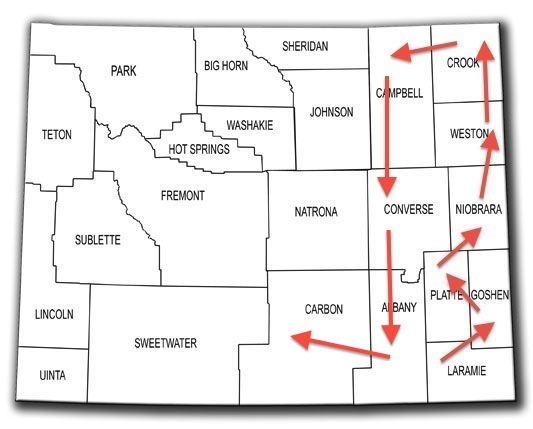 Laramie is 50 miles west of Cheyenne on Interstate 80. 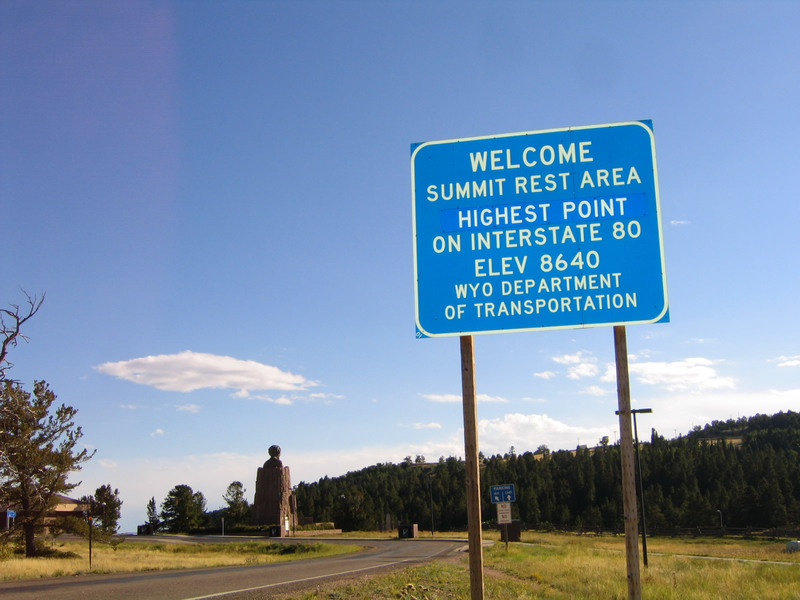 The route includes the highest point on all of I-80, at 8,640 feet. Interstate 80 follows much of the route of the “Lincoln Highway,” the first transcontinental highway. A 13-foot-high bronze bust (1959) of Abraham Lincoln is located at the Summit Rest Area. It was originally a half-mile away, on U.S. Highway 30. A few miles away along I-80 is the pyramidal Ames Monument (1880), honoring brothers Oakes and Oliver Ames, who were instrumental in the construction of the Union Pacific portion of the transcontinental railroad. It marked the railroad’s highest point. 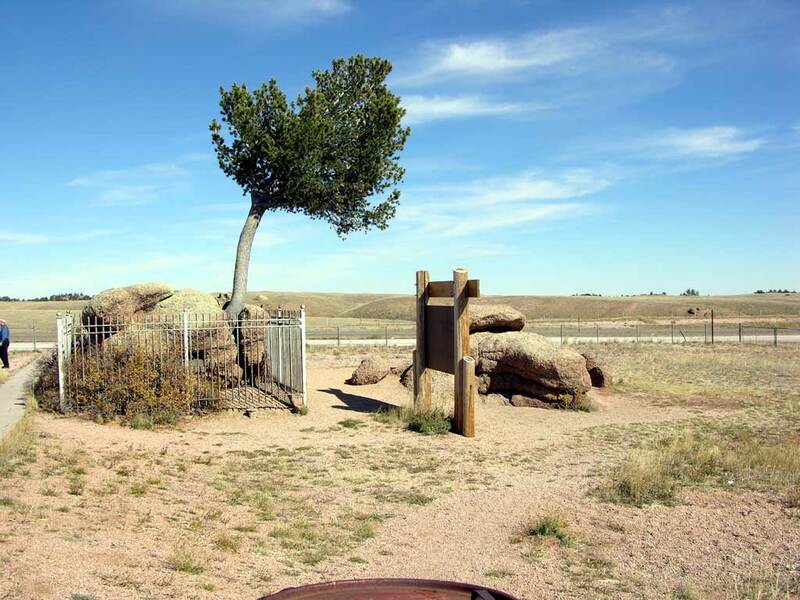 Nearby is the “Tree in the Rock,” which has been fascinating visitors since the construction of the transcontinental railroad in the 1860s. Como Bluff is a long ridge near the town of Rock River (pop. 245). Many fossils of dinosaurs and other animals were discovered there in the late 19th century. 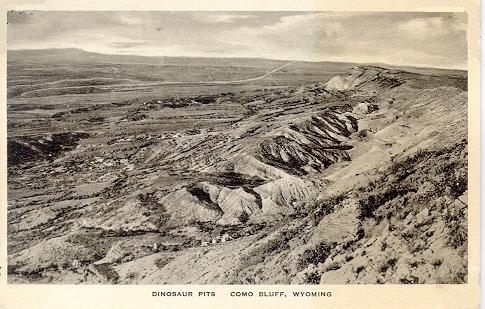 This entry was posted in Wyoming and tagged Albany County, Ames Monument, Como Bluff, Laramie, Lincoln Highway, Oakes Ames, Tree in the Rock, University of Wyoming. Albany County report is my favorite for Wyoming so far — it just struck me as interesting. Could be because Oakes Ames is mentioned in it. He keeps popping up in my life: was even in Zillah, WA once. (I edited the Zillah newspaper for a couple of years in the 1970s. ).